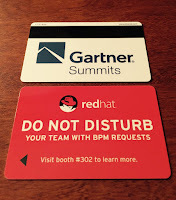 It has been two years since I last attended the Gartner BPM Summit, so was rather excited to dive into the 2015 edition last week in Washington, DC. Red Hat was present with a booth, great swag (room keys, stickers and neck pillows for your flight home) and a customer presentation. For ten years, Healthesystems relied on two solutions for state agency reporting and vendor payment margins for workers’ compensation claims. Market competition and continuously changing government mandates led them to seek ways to consolidate business rules from the code and accelerate time to market. Healthesystems used Red Hat JBoss BPM Suite with Red Hat technology partner Open Source Architect to centralize their business rules and cut time to market from weeks to hours. Again I was not able to attend many of the more interesting sessions that were blocked for vendors, even though I had a full conference pass. These sessions required pre-registration which ended up in my being rejected for admittance. Bummer as there were some really interesting sessions. The booth was manned by friends of mine in the US NE Solution Architect team, with customer meetings and dinners keeping us pretty busy the whole week. We even managed to sneak in a Washington Nationals baseball game one evening! 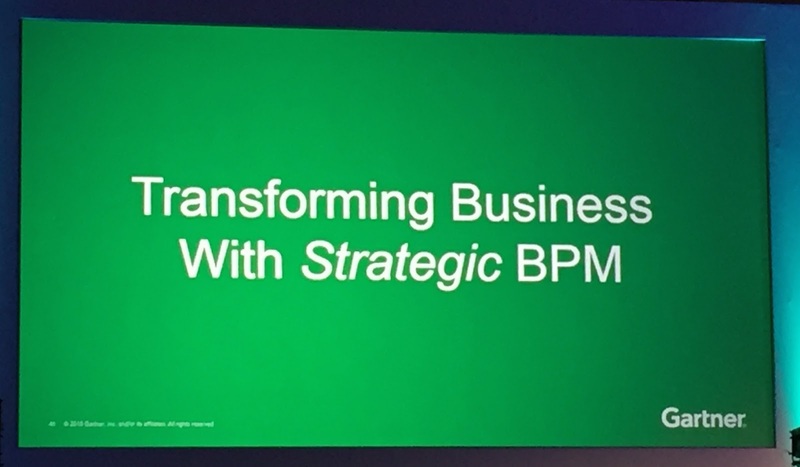 The main focus if I had to mention a trend from the week was the focus on dynamic case management and BPM for improving customer experiences through better usage in the applications being developed. 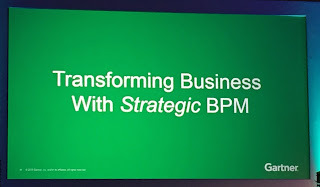 The trend is to focus more on how BPM can transform your business by becoming a strategic part of the way one engages with customers throughout their business life cycle. It is always a good time talking to the various, mostly higher level, BPM business users that attend this type of event. 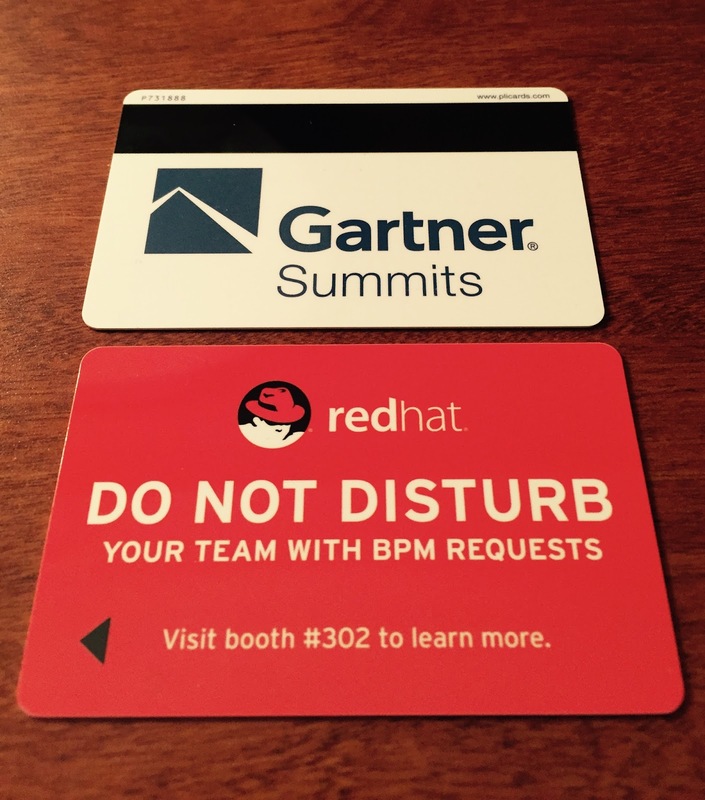 I am looking forward to being back next year with more JBoss BPM Suite goodies to showcase for you.